German Chancellor Angela Merkel told leaders of her Christian Democratic Union (CDU) party that she will not seek re-election as party chairwoman at a conference in December, a senior party source said Monday. She will however remain chancellor. Merkel has been CDU chairwoman since 2000 and has been Germany’s leader since 2005. The CDU is due to hold a conference in December at which the party’s leadership is up for renewal. German news agency DPA, citing sources, tweeted that Merkel wanted to remain chancellor. 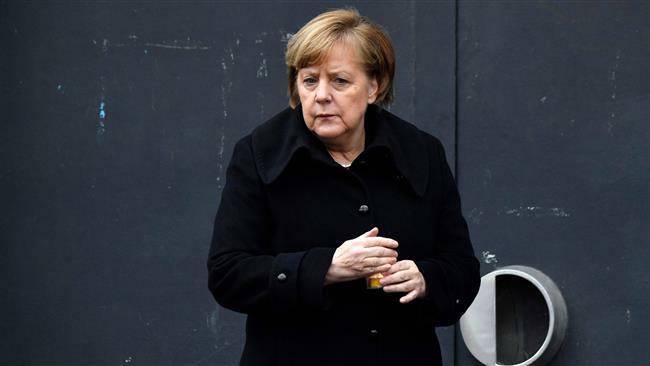 The decision came a day after Merkel’s governing coalition suffered heavy losses in Sunday’s regional election in the western state of Hesse. While the CDU came home first in Hesse, support fell by more than 11 points, reigniting a succession debate by conservatives unhappy with the chancellor’s grip on power. Merkel also has to contend with pressure from her Social Democrat (SPD) junior coalition partners, who have also bled support in Hesse and are under pressure to rethink their alliance with Merkel. SPD leader Andrea Nahles, whose party saw support fall to its lowest since 1946, has threatened to end the alliance with Merkel’s conservatives if there is no improvement on policy. Nahles is feeling the heat from SPD members still disgruntled with their leaders’ decision to join Merkel instead of fulfilling an election promise to sit in opposition if they fail to win the federal vote. Nahles said on Sunday she would propose a roadmap to allow the SPD to measure the progress of the ruling coalition, which has been plagued by infighting, at a mid-term review next year. Merkel’s favoured successor is CDU party secretary general Annegret Kramp-Karrenbauer. Merkel’s weakness at home may limit her capacity to lead in the European Union at a time when the bloc is dealing with Brexit, a budget crisis in Italy and the prospect of populist parties making gains at European parliament elections next May.